On May 31, Christie’s will auction off three Jaeger-LeCoultre Reverso timepieces at its sale in Milan. The watches will be sold with no reserve and all proceeds will go to the Salam Centre for cardiac surgery in Khartoum, Sudan. This centre was built by the humanitarian NGO Emergency and provides free healthcare, particularly specialised care for cardiac patients. The three Reverso watches comprise lots 312 to 314 at the sale. 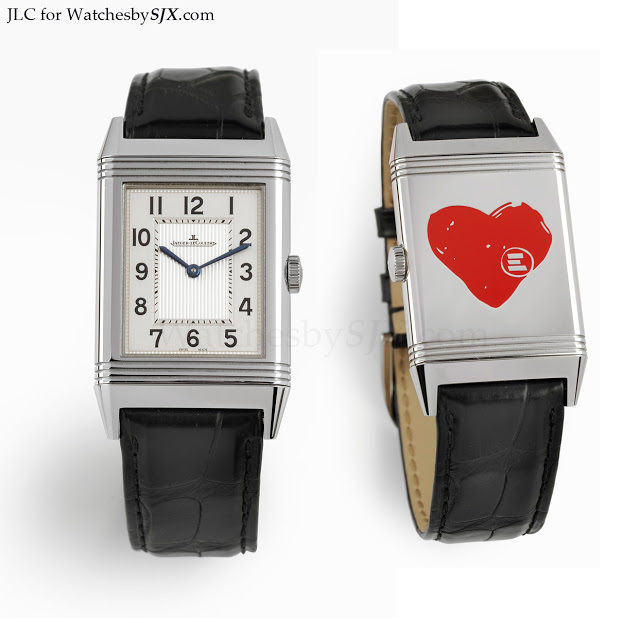 Two of them are the men’s Grande Reverso Ultra Thin in steel, and the third is the Grande Reverso Lady Ultra Thin. 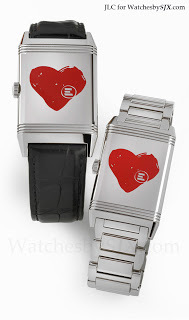 Each watch has the red heart logo of Emergency in lacquer on the reverse of the case. Bids can be placed online or in person at the sale. Details can be found on the Christie’s site. – SJX UPDATE: The sale of jewels that was to have included these Reversos has been cancelled by Christie’s.